Bylaws of Downtown Pittsburgh Ministerium, Inc. Section 1: The name of the corporation shall be the Downtown Pittsburgh Ministerium, Inc. Section 2: The Downtown Pittsburgh Ministerium, Inc., exists to provide a united Christian witness in the heart of the City of Pittsburgh and to reach out in love to the homeless, the poor and others in need. Its membership comprises the clergy of the churches, ministries, and non-profit social service organizations which are located in the downtown community and adjacent neighborhoods. Section 1: Eligibility for membership. Membership shall be open to all called or appointed clergy of the following downtown Pittsburgh churches, ministries, and social service organizations: Epiphany Roman Catholic Church, First English Evangelical Lutheran Church, First Presbyterian Church, St. Benedict the Moor Roman Catholic Church, St. Mary of Mercy Roman Catholic Church, Smithfield United Church of Christ, Shepherd’s Heart Fellowship, Trinity Episcopal Cathedral, Allegheny County Jail Ministry, Duquesne University Campus Ministry, UPMC Mercy Hospital Chaplaincy, and other permanently established organizations in downtown Pittsburgh, as determined by the Board. The Board of Directors (“Board”) shall exercise all control of the corporation and shall consist of all member clergy of the Ministerium. Section 2: Requirements for membership. Membership in the Ministerium shall be granted by the Board upon its acceptance of application for membership and receipt of annual dues. Requirements for continued membership shall include the remittance of annual dues, which shall be set by the board, and attendance at a minimum of one (1) meeting of the Ministerium per year. The Board shall have the power to grant, revoke and set other requirements for membership. Section 3. Associate Membership. 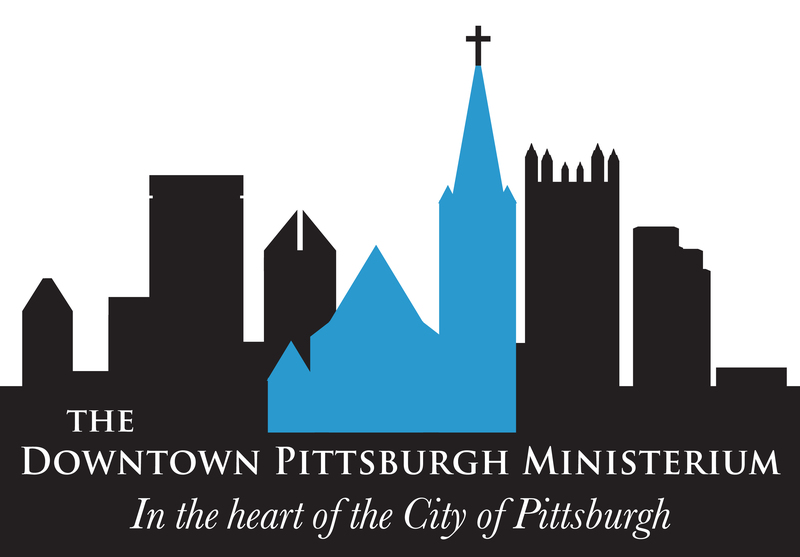 Other clergy from churches and organizations with a vested interest in the mission of the Downtown Pittsburgh Ministerium may be granted associate membership according to requirements set by the Board. Associate members may attend all regular meetings of the Board and serve on committees but shall not serve as members of the Board or hold office. Section 2: Special Meetings. Special meetings may be called by any member of the Executive Committee. Section 3: Notice. Notice of each meeting shall be given to each member not less than five (5) days before the meeting. Section 1: Board Role, Size, Compensation. The Board is responsible for overall policy and direction of the corporation, and delegates responsibility for day-to-day operations to the Executive Committee, which shall consist of the President, Vice President, Treasurer and Secretary. The Board size shall be dependent upon the number of eligible persons as described in Article 2, Section 1, but in no event shall there be fewer than three (3) Board members. The Board members shall receive no compensation but may be reimbursed for reasonable out-of-pocket expenses incurred in furtherance of the corporation’s exempt purpose and approved by the Board. Section 2: Meetings. The Board shall meet at least quarterly. Section 3: Board Elections. Election of new Officers shall occur as the first item of business at the annual meeting of the corporation. Officers will be elected by a majority vote of the current directors present and voting at the annual meeting and may be elected to three (3) consecutive full one (1) year terms. Section 4: Terms. All Board members shall serve a renewable one (1) year term. Section 5: Quorum. A quorum for the transaction of the organization’s business shall consist of those Board members present at a duly called regular, annual, or special meeting. The President shall convene Board meetings and shall preside at each meeting or, in his or her absence, arrange for another member of the Executive Committee to preside. The President shall chair the Executive Committee. The Vice President shall fulfill the duties of the President in his or her absence. The Secretary shall be responsible for keeping records of corporate and Board actions, including overseeing the taking of minutes at all Board meetings, sending out meeting announcements, distributing copies of minutes and the agenda to each Board member, and assuring that corporate records are properly maintained. The Treasurer shall keep and maintain all financial records of the corporation and shall make a financial report at each Board meeting. The Treasurer shall chair the finance committee, if any, assist in the preparation of a budget, and make financial information available to Board members and the public. The fiscal year shall be the calendar year. Annual reports are required to be submitted to the Board showing income, expenditures and pending income. The financial records of the organization are public information and shall be made available to the Members, Board members and the public. Section 7: Vacancies. When a vacancy of an officership exists, nominations for new officers may be received from present Board members by the Secretary two (2) weeks in advance of the next Board meeting. These nominations shall be sent out to Board members with the Board meeting notice, to be voted upon at the next Board meeting. These vacancies will be filled only until the end of the original Officer’s term. Section 8: Resignation and Termination. Resignation from the Board shall be received in writing by the Secretary. A Board member shall be terminated from the Board if he or she ceases to be employed by the church or other organization in the capacity which effected his or her eligibility for membership on the Board, or if he or she fails to meet the requirements set forth in Article 1, Section 2. A Board Member may be removed for other reasons by a three-fourths vote of the remaining Directors present and voting at a duly called meeting, provided such action shall have been included as an agenda item in the meeting notice. Section 1: The Board may create committees as needed and shall appoint committee chairs from the membership of the Board or a non-member who has a vested interest in the Christian Witness of the Ministerium. Committee chairs shall serve a renewable one (1) year term. If a committee chair is not a Board member, the Board shall appoint a committee liaison. Each committee chair or liaison shall submit a report of each committee meeting at the next regular Board meeting. Committee members are selected by committee chairs and shall serve a renewable one (1) year term. Section 2: The President, Vice-President, Treasurer and Secretary shall serve as the members of the Executive Committee. Except for the power to amend the Articles of Incorporation and Bylaws, the Executive Committee shall have all of the powers and authority of the Board in the intervals between meetings of the Board, subject to the direction and control of the Board. All investment authority for the corporation shall be vested in the Executive Committee. Section 3: Other committees of the Ministerium shall normally include a Walk-In Ministry Committee and a Government Relations Committee. Section 1: The corporation is organized as non-profit charitable organization, exclusively for charitable, educational, and scientific purposes, including, for such purposes, the making of distributions to organizations that qualify as exempt organizations under Section 501(c)(3) of the Internal Revenue Code, or the corresponding Section of any future federal tax code. Section 2: No part of the net earnings of the corporation shall inure to the benefit of, or be distributable to its members, trustees, officers, or other private persons, except that the corporation shall be authorized and empowered to pay reasonable compensation for services rendered and to make payments and distributions in furtherance of the purpose set forth in Article 6, Section 1 above. No substantial part of the activities of the corporation shall be the carrying on of propaganda, or otherwise attempting to influence legislation, and the corporation shall not participate in, or intervene in (including the publishing or distribution of statements) any political campaign on behalf of or in opposition to any candidate for public office. Notwithstanding any other provision of these Bylaws, the corporation shall not carry on any other activities not permitted to be carried on (a) by a corporation exempt from federal income tax under Section 501(c)(3) of the Internal Revenue Code, or the corresponding Section of any further federal tax code, or (b) by a corporation, contributions to which are deducible under Section 170(c)(2) of the Internal Revenue Code, or the corresponding Section of any future federal tax code. Section 3: Upon the dissolution of the corporation, assets shall be distributed for one of more exempt purposes within the meaning of Section 501(c)(3) of the Internal Revenue Code, or the corresponding Section of any future federal tax code, or shall be distributed to the federal government, or to a state or local government, for a public purpose. Any such assets not so disposed of shall be disposed of by a Court of Competent Jurisdiction of the county in which the principal office of the corporation is then located, exclusively for such purposes or to such organization or organizations, as said Court shall determine, which are organized and operated exclusively for such purposes. Section 1: These Bylaws may be amended when necessary by a three-quarter’s majority of the Board of Directors present and voting at a duly called meeting. Proposed amendments must be submitted to the Secretary to be sent out with the regular Board notice. These Bylaws were approved at the Organizational Meeting of the Incorporators and the Organizational Meeting of the Board of Directors of the Downtown Pittsburgh Ministerium, Inc., on December 12, 2006 and were amended by the Board of Directors on October 27, 2015.